White gold sets radiant glow for this ring set from Apples of Gold. Each of the bands are embellished in the art deco design with carved swirls and small leaf-like patterns. They are also edged with a milgrain line that add texture and splendor to the set. 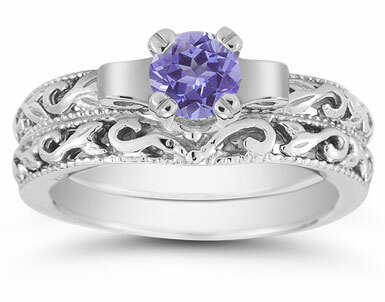 The 5mm tanzanite stone sits beautifully in the white gold mounting that features two delicate swirls of gold. This art deco ring set is a glamourous way to update any jewelry collection. 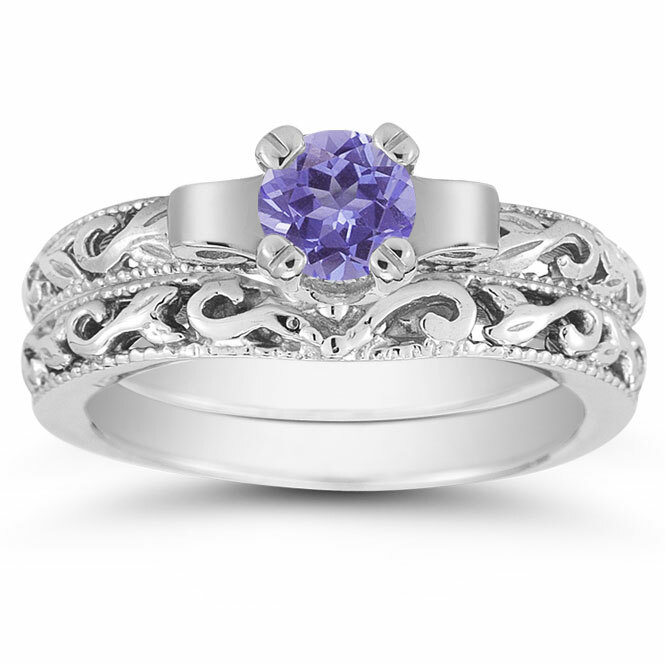 We guarantee our 1/2 Carat Art Deco Tanzanite Bridal Ring Set, 14K White Gold to be high quality, authentic jewelry, as described above.